Steve Kopito, cotributed the following pictures via email. I would guess that this truck was originally a 67 or 68 model based upon the doors and wind screen frame in the before pictures. 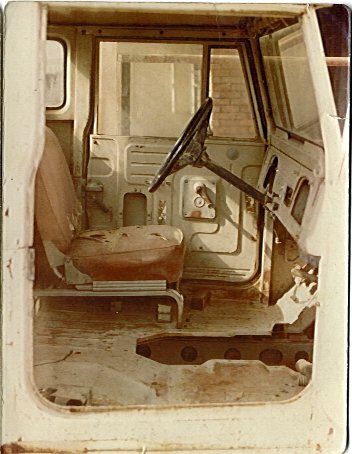 The windscreen frame does not have the centered vent below the glass. The doors do not have the early style vent windows which were hinged at the rear. 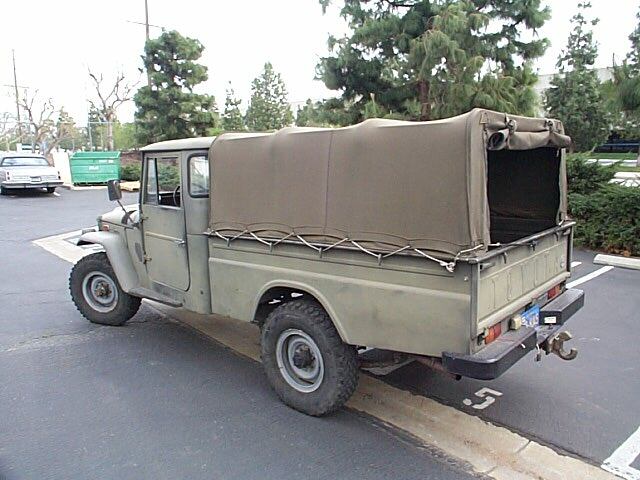 This LWB is in my opinion a truly exceptional truck which now has incorporated many of the most desirable features from Land Cruisers of many vintages. 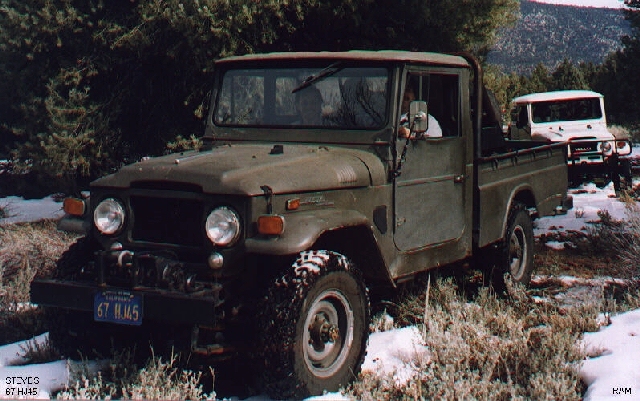 owner of Land Cruisers since 1979. Here are some photos of the HJ45. I included a few "Before" pictures to show you what I started with. 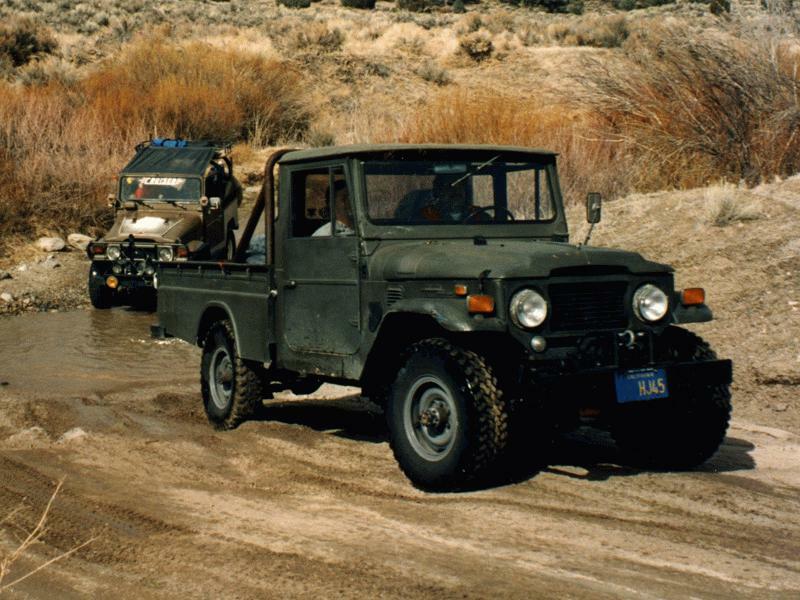 I purchased this truck in 1980 from Marv of Specter Off Road fame. He rescued it from a ranch about 350 miles north of Reno outside of the town of Gerlach Nevada. This is the town near where they held the "Burning Man" festival last year. 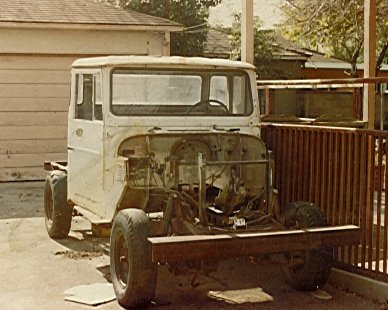 The ranch bought 10 pickup trucks between 1964 and 1967. This one pictured was the second nicest one remaining so you can imagine what the rest looked like. I restored it the first time over the course of one year. 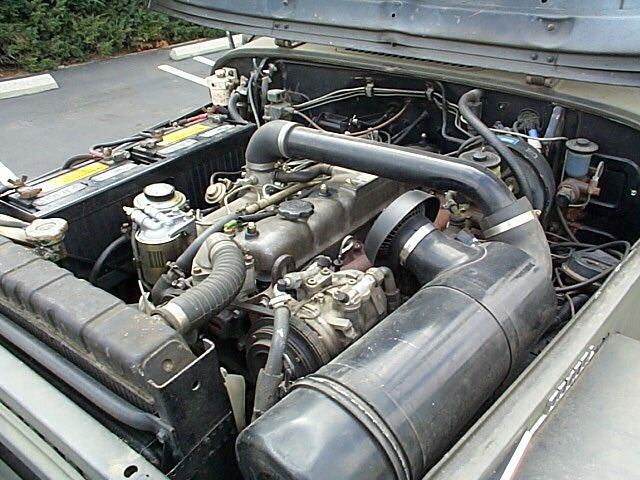 I installed a "F" engine with 3 speed trans. 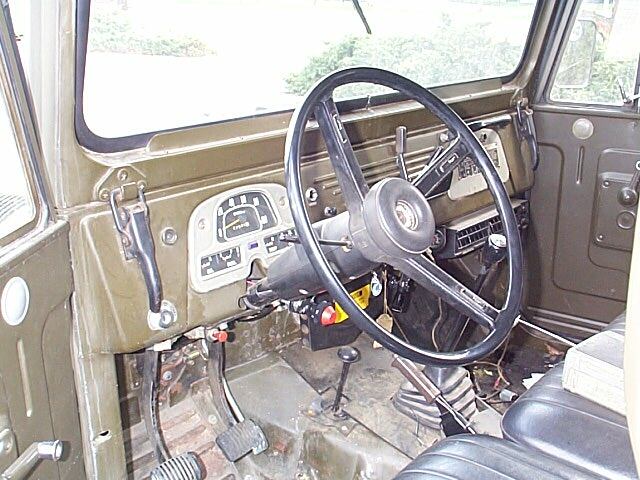 This configuration lasted about 3 years until I installed a "H" diesel with a 4 speed trans. 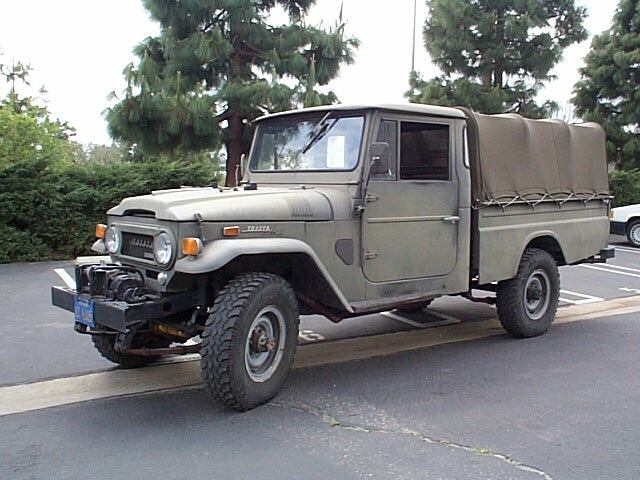 In 1991 when I returned from Japan after a 4 year stay, I installed a "2H" diesel engine, 5 speed transmission, split transfer case, power steering, disk brakes, full float rear axle and Air conditioning. Since I finished that refurbishment, I have not touched the vehicle except for maintenance and the installation of the the canvas cargo cover.